This year has not been great for watermelon production in Florida. 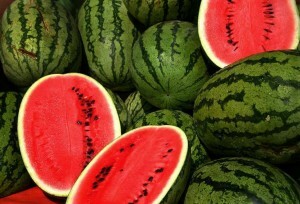 Some late frosts and unusual wet spells caused problems for producers and led to lower yields of good melons than usual. But the lower yields also led to higher prices, which added value to the watermelons that did make it through the season. You can read more about how weather affected production in Vegetable and Specialty Crop News at http://vscnews.com/higher-prices-save-florida-watermelon-season/. Previous: When will the fall weather come? Not anytime soon.